This Web site is copyright © 2014 by Dan Kelley. All rights reserved. Any use of the information, images, or other content appearing on this site without the permission of the copyright owner or their agent is strictly forbidden and will make the infringer liable to Dayton Pest Control for costs, attorney fees, and other damages. This site is intended for adults at least 18 years of age who are seeking pest control services for their homes, businesses, or other properties. Neither Dayton Pest Control, nor the Web developer, nor the Webmaster, nor the Web host, will be responsible for any accessing of this site by minors, not for any misrepresentation of age by any visitor. 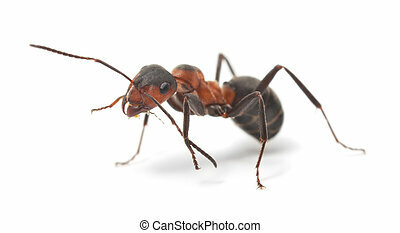 This Web site is the exclusive, copyrighted property of Dayton Pest Control. By publishing this Web site, the copyright owner does not grant any license or permission for you to use the pictures, descriptions, or other content contained herein except for your own personal use. Dayton Pest Control disclaims any warranties, express or implied, with regard to the information presented on this Web site and the usefulness or accuracy thereof. Neither Dayton Pest Control, nor the Web site developer, nor the Web host, can guarantee that this site and its server will always be free from viruses or other malicious code, nor that it will always be available. You understand and agree that none of the information on this Web site is intended to enable lay persons to safely handle, mix, or apply pesticides. Dayton Pest Control and their agents strongly recommend that all pest problems be handled by qualified, certified professionals. If you purchase pesticide products through this site, you agree to use them in full accordance with the label directions, and with due caution and safety precautions. Dayton Pest Control explicitly disclaims any responsibility for your use of any pesticide product. Other than as itemized above, Dayton Pest Control does not share our customer lists, mailing lists, email lists, nor any other personal customer information with any third parties. Thank you for visiting Dayton Pest Control. Dayton Pest Control provides high-quality pest control in Dayton and Ohio's Miami Valley, including the cities and towns of Beavercreek, Bellbrook, Blanchester, Brookville, Carlisle, Centerville, Eaton, Englewood, Fairborn, Farmersville, Germantown, Gratis, Greenville, Kettering, Lebanon, Lewisburg, Medway, Miamisburg, Middletown, New Lebanon, New Oakwood, New Vienna, Port William, Sabina, Springboro, Springfield, Trotwood, Troy, Union, Vandalia, Waynesville, West Carrollton, Wilmington, and Xenia; and the Ohio counties of Butler, Clark, Greene, Miami, Montgomery, Preble, and Warren.